History is simply a collection of dates, events and often memories that are attached to them. 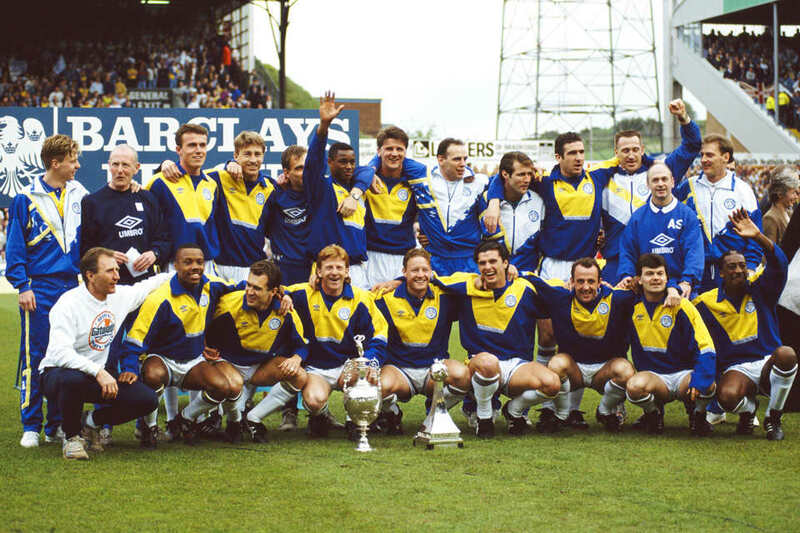 For some Leeds fans, they remember all too well where they were on April 26, 1992. On April 26, 2017, exactly 25 years to the day since LUFC won the old First Division title, SJD SPORTS are proud to bring you an audience with THE REAL CLASS OF 92 – a Class of ’92 that took the title in a blur of white. Take a step back in time and relive the events that are now part of Leeds United’s history. Confirmed speakers for this spectacular event so far are: HOWARD WILKINSON, MEL STERLAND, JON NEWSOME, STEVE HODGE, TONY DORIGO and CHRIS WHYTE. That’s not all. As well as the eight confirmed speakers (above), this list will increase. On the night, each of the players present will be individually interviewed. After this SGT WILKO will give us an extended insight in to the whole of the ’92 season and the key moments that won the whites the title. After all of this, all of our guests will take part in an audience Q/A session specific to the 92 season. Add in two extended videos from the historic title-winning season and you have an unmissable event for LUFC supporters – an event that will bring the past right up to the present. FRIDAY 1st MARCH 2019 will be a night to remember !!! STANDARD TICKETS START AT JUST £20.00 WITH VIP TICKETS COSTING JUST £35.00 WHICH INCLUDES AN EARLY BIRD MEET AND GREET WITH THE PLAYERS, PROFESSIONAL PHOTOGRAPH AND SIGNED PHOTO.